WELL!!! I don’t recall being offered 1st dibs on this spectacular portrait!! Can you cheat & paint another for moi? You can change the colours just a tad, that would work. Why don’t you put a link on my website? I’m so glad you like the painting and thanks for the comments! Sorry – but, there’s only one “King”! 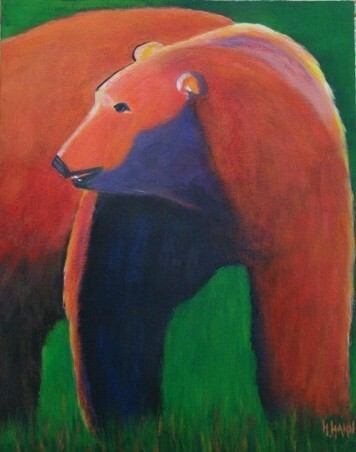 Wonderful bear! He’s still my favourite!